The Title Wave Used Bookstore sells retired Multnomah County Library materials at discounted prices. Browse through 20,000 used books, audiobooks, CDs, DVDs and magazines at bargain prices, starting at $2 for hardback novels and nonfiction. Some items start at $.25. Discover great selections of children's books and large-print items. Check regularly; the inventory changes every day. All educators receive a 25 percent discount at The Title Wave, every day. Just present your valid educator ID. Every Wednesday, something is on sale at The Title Wave. Like us on Facebook to keep up on this and other sales, or just stop in and be surprised. Volunteers are an important part of Title Wave operations. They help with customer service, cashiering, sorting materials, pricing, shelving and much more. Check for current openings and apply to be a Title Wave volunteer. Contact Volunteer Services (503.988.5731) with questions. 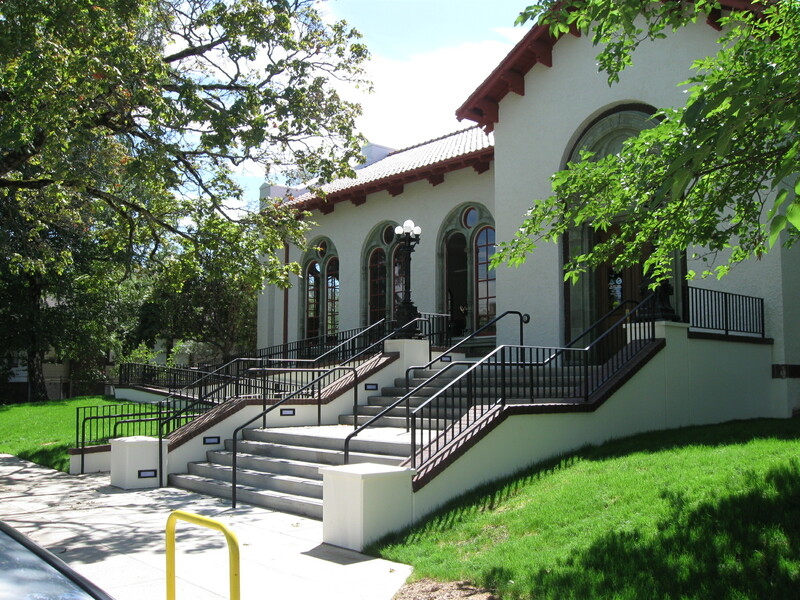 The building, designed in the Spanish Renaissance Revival style, was built in 1912 to house Albina Library, one of Multnomah County Library's Carnegie libraries. The store opened for business in March 1988. A faithful, hard-working corps of more than 50 volunteers staffs the store, handling all aspects of the operation. The books, discards from Multnomah County Library's collection, are removed from the library's computer catalog, stamped, sorted, researched, priced and shelved for retail. If you know of an organization that could make good use of books or a gift certificate from The Title Wave Used Bookstore, please fill out our donation request form.